WCCLS: News & Events: Grand Opening: Beaverton Murray Scholls Branch! Join Mayor Denny Doyle, city councilors, Beaverton City Library staff, and the Beaverton community for a celebration of the newly expanded and renovated Murray Scholls Branch Library. Adults, children, and families are invited to the Grand Opening, to enjoy cake and fun activities for kids along with a few words by Mayor Doyle. This event will celebrate a pivotal expansion of Beaverton’s library services. The Reser Family Children’s Room unofficially opened last month and residents have already expressed great enthusiasm. Since reopening, the number of patrons visiting the library has increased 30 percent over last year. More than 300 people attended events in February, including the first programs ever held during library open hours. The additional 5,000 square feet includes a large new room for children and their caregivers to participate in additional storytimes and activities such as “Make It” Mondays and WOW Wednesdays. It also facilitated the repurposing of existing space for teens with more study tables and an erasable IdeaPaint wall where they can show-off their creativity. 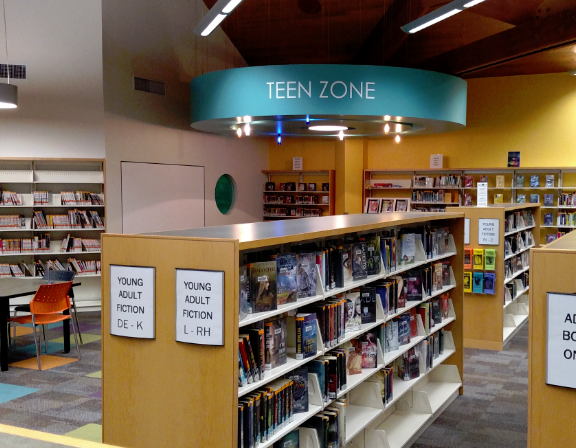 Teen programming will continue to grow in the coming months, as will the selection of young adult fiction and graphic novels in the teen book collection.